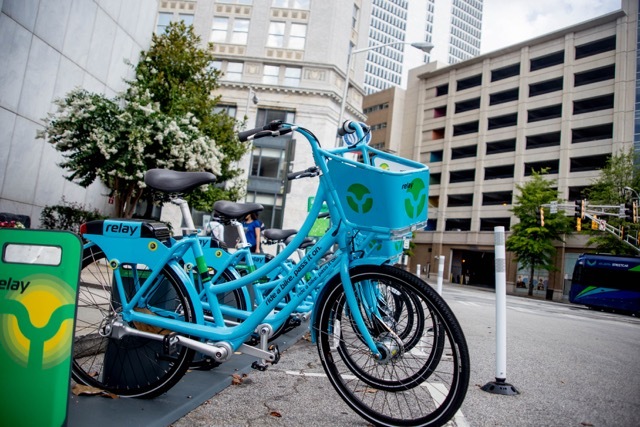 Earlier this past summer the Relay bike share program launched in downtown Atlanta with 100 bikes at 10 stations. 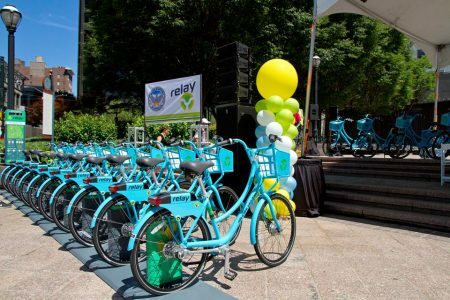 You may have seen the cute baby-blue, two-wheel bikes around town or on the BeltLine. The VHCA is pleased to be working with Becky Katz, Chief Bicycle Officer for the City Of Atlanta, and the wonderful folks at Cyclehop to have at least two stations here in Virginia Highland when the next set of 70 stations are opened in early 2017. CycleHop is the largest ‘smart bike’ bike share program operator in North America, managing programs in Phoenix, Orlando, Los Angeles and Vancouver in addition to Atlanta. Bike sharing programs have exploded over the last 10 years and it’s no wonder why. Commuters can leave the stress of congested midtown and downtown traffic behind. Tourists can enjoy exploring Atlanta and our wonderful attractions at their own pace. And we all get a healthier Atlanta! While the VaHi locations are still being finalized, top contenders are the intersection of Virginia & Highland and the intersection of Saint Charles & North Highland. More to follow once we get confirmation of their final location. For more information on the Atlanta program visit http://relaybikeshare.com. This entry was posted in news and tagged 2016, beckykatz, chiefbicycleofficer, relaybikeshare by John Becker. Bookmark the permalink.